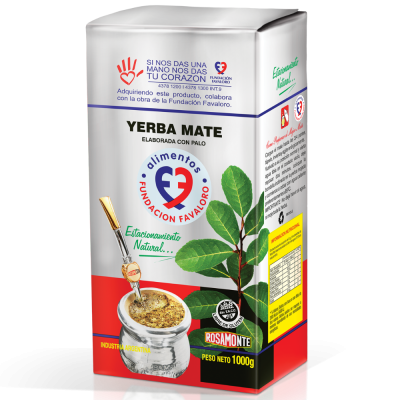 Yerba Mate is obtained from a natural plant of unmatched flavor and remarkable qualities, denominated ilex paraguariensis. 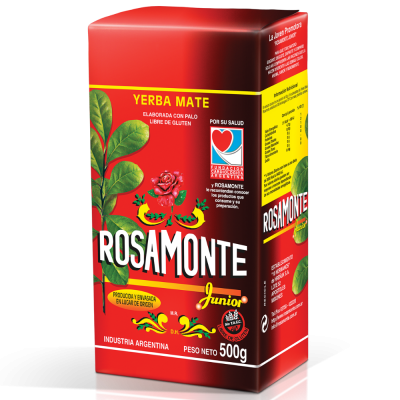 Its dried, slightly toasted comminuted leaves, combined or not with dry branch small fragments, give way to our Yerba Mate ROSAMONTE which maintains a harmonious selection process, milling and seasoning, obtaining this way the balanced flavor that characterizes us. Seasoning 12 to 24 months. (Es) Estacionada 12 a 18 meses. Natural seasoning, for 12 months. Triple layer packaging for extra protection. 500gms and 1 Kilo presentations. Intense flavor from the first mate. Mild flavor from the first mate. Natural Seasoning, 12 to 24 months. 500gms and 250 gms presentation. Practical to use and easy to close. 250 gms, 500gms and 1 Kilo presentations. Choice leaf prior to manufacture. Produced and packaged in origin. Jar packaged to maintain quality. Cotton fabric package to keep the natural outdoor flavor. Same flavour of our Yerba Mate. 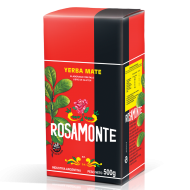 Presentation in 50 3gramme per unit bags. 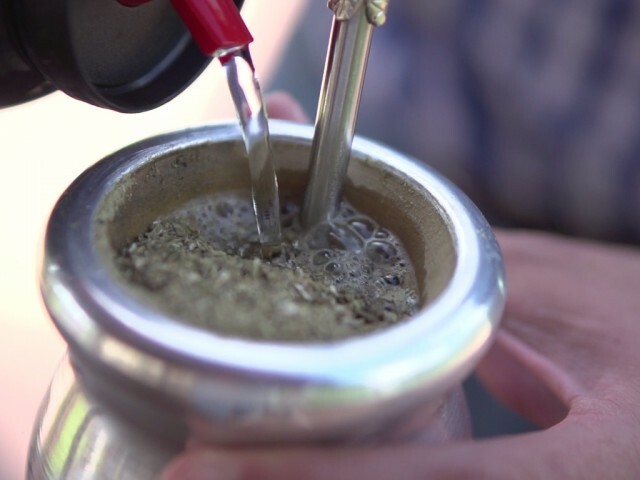 Yerba Mate (or its scientific name Ilex paraguariensis Saint Hilaire) is original of subtropical areas of Argentina, Brazil, Paraguay and Uruguay. They are erect, round crowned trees, with persistent foliage and resistent leaves. 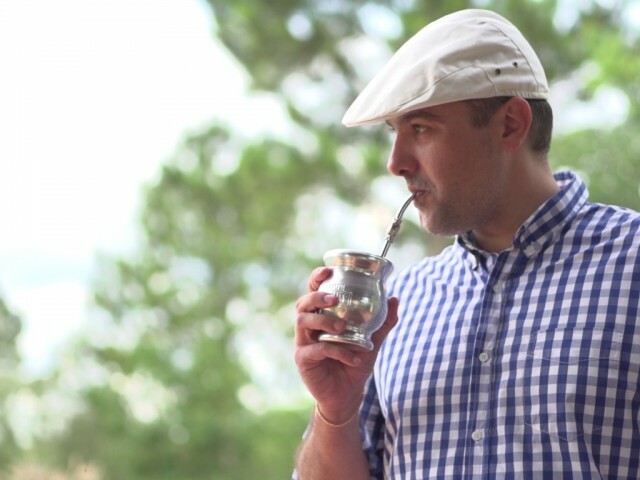 Originally yerba mate was used by the Guaraní tribes, that used it as an infusion in gourds they called “mati” in Quechua dialect. This infusion has spread widely turning into an established custom for millions of argentines that enjoy it daily. At present it is known as Yerba Mate a product obtained exclusively from this plant and formed by its dried and ground leaves, mixed or not with small fragments of its equally treated dry branches. 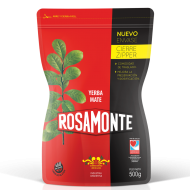 These, together with the milling generated powder, are the only elements that conform our Yerba Mate Rosamonte, and after a process and a balanced formula in the mix, generate the products all argentines prefer. 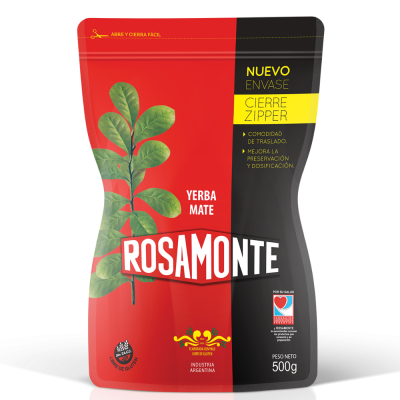 Image 1 - Yerba mate fields. Image 2 - Yerba mate fields. 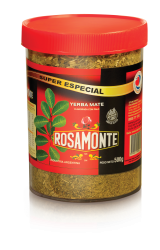 Image 3 - Yerba mate fields. Image 4 - Yerba mate fields. 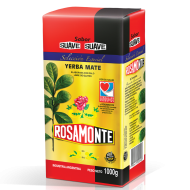 Image 5 - Yerba mate fields. In Rosamonte we hand pick the seed of our best plants which have the best color, size and are undamaged. We plant them with the utmost care in special seed beds at our nurseries under strict humidity and temperature control., until their ripening, looking after the seedlings while they emerge and start developing. Artificial pesticides or fertilizers are not used, given that our soil provides all the required nutrients for the plants best development. Once the plant gains height and strength it is transplanted into special pots in special sizes where they grow independently and fortify. When the plant reaches ideal conditions for transplant it is taken to lots specially designed for new crops, free of weeds, and in optimum soil conditions During its first year the plant is covered with a screen which protects it from excessive solar radiation and certain insects. After this the plant is in full capacity to to grow and develop healthy on the Misiones and northern Corrientes fields., where clay soil, rich in phosphoric acid, potassium, iron oxide, organic nutrients and free of agrichemicals, confer the best scenery for its evolution. Image 1 - Yerba mate seedlings. Image 2 - Yerba mate seedlings. 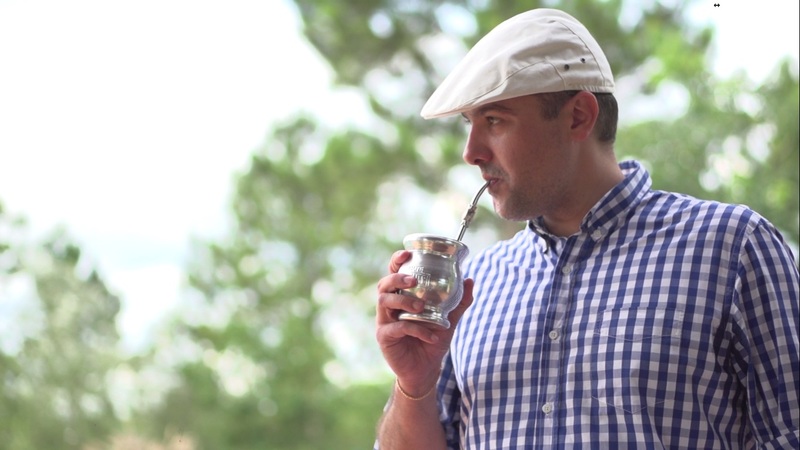 The process by which our staff harvests the ripe yerba mate leaves by hand is called “tarefa”. The harvest takes place from April to the end of September in owned plantations as well as in settler’s plantations selected by the produce quality they supply to maintain the standards required by our company. 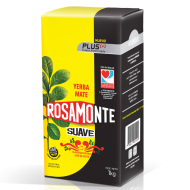 In the case of new plantations plants are pruned to control growth and shape, those pruning are used to enrich the soil. Given that the plants reach the required leaf maturity; with which we can obtain a quality product after the fourth or fifth year. Only a part of the plant is harvested so as not to cause unbalance in its structure and physiology, picking only the ripest branches and snapping them off. The branches are piled on cotton fabric canvases and tied in bundles. 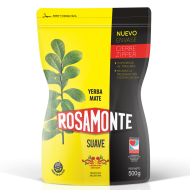 At Rosamonte we innovate constantly thanks to a technical team and have implemented experimental mechanical harvest in a percentage of our crop which is done on specially prepared lots and plantations. This harvest is done with high-tech equipment that achieves a thorough cut, taking care of the plant as well as the harvested product, that is placed in spacious crates and transported in special trucks. Once the harvest is done our product is transported to the driers. Image 1 - Yerba mate harvest process. 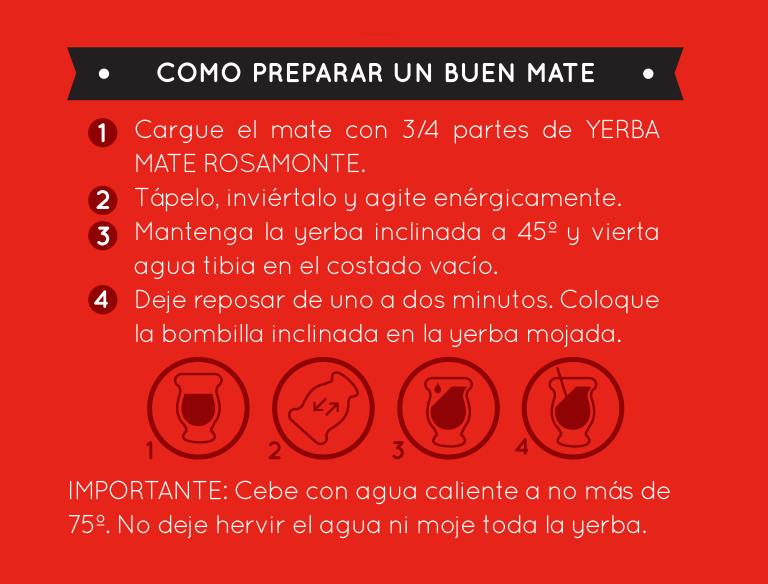 Image 2 - Yerba mate harvest process. 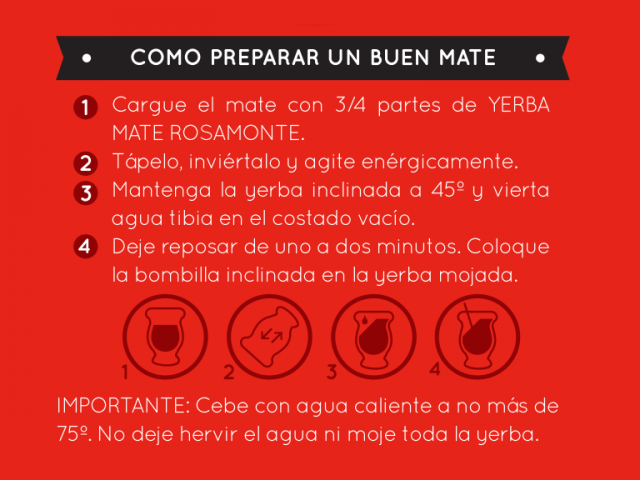 Image 3 - Yerba mate harvest process. Image 4 - Yerba mate harvest process. At our own laboratories the Green leaf, the dried leaf and the ground leaf and the end product are analyzed at each stage to ensure optimum quality. This way we achieve the unique formula developed and perfected at Rosamonte through three family generations, for each of our presentations. Image 1 - Quality control in our laboratories. Image 2 - Quality control in our laboratories. Image 3 - Quality control in our laboratories. Image 4 - Quality control in our laboratories. Image 5 - Quality control in our laboratories. Image 6 - Quality control in our laboratories. After a few years of learning, planning, knowledge and effort we have inaugurated our new model drier, with the best technology available in the market, using biomass as fuel for generation of caloric energy for the fast drying and toasting operations, accompanying our productive ecosystem and sustainable development. Today we possess the largest and most modern high tech drier in the country, thus increasing our efficiency level in Environmental management and H.H. R.R. (plant staff safety), product quality, automation and process stability. This way contributing to the protection of natural resources (corner Stone of our company) in accordance with the highest international quality standards. Image 1 - Rosamonte new drier. Image 2 - Rosamonte new drier. 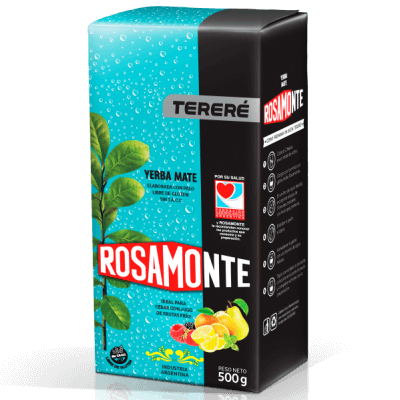 Image 3 - Rosamonte new drier. Image 4 - Rosamonte new drier. Already on the drying plant raw material is ventilated. After it is deposited on an automatic plank that regulates the fall of the green leaf on a conveyor belt that takes it to the fast drier. Fast drying takes 20 to 30 seconds through direct action of flame within a rotating horizontal cylinder at 600°C . It is done within twelve hours of harvest. 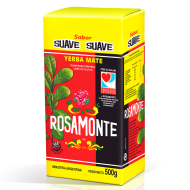 During this exposure the enzyme fermenting process and oxidizing of the raw material is stopped, losing 80% moisture, here is where it acquires its characteristic aroma and color, losing the Green leaf flavor. 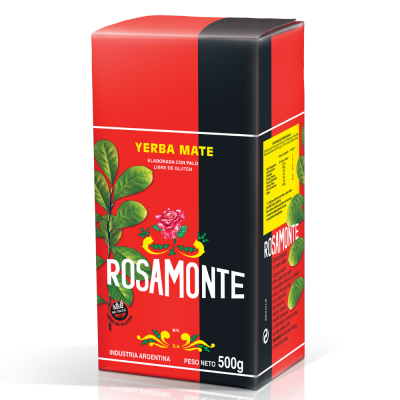 Image 1 - Rosamonte fast driying. In a monitored space raw material is exposed to a hot and pure airflow provided by four high efficiency generators that use recovered moist biomass energy (sawdust, chips and bark). With a high efficiency system, each generator is is capable of discarding particles to avoid pollution. Hot air is supplied by special ducts to the 16 driers according to each one’s needs, regulating temperature variations automatically and centralized. We have a state of the art totally automated control system, from the fuel supply through to all the different steps that guarantees reliability and the constant process efficiency. From the control room the operator can visualize instant and historical values that allow him to make the necessary correction in the parameters considered by the system. This guarantees an optimum use of energy consumption and the constant quality of the process. Image 1 - Barbacua type drying. Is a process of coarse milling where the dry product is ground thickly and is prepared for its bagging and transport. The name was inherited because in the old days it was done spreading the yerba on a flat Surface covered with jute tarpaulins which were called “canchas” and were bashed by hand to break them. Once milled it is bagged in small jute bags or in big bags depending of its seasoning, with a label stating date of entry and raw material origin. 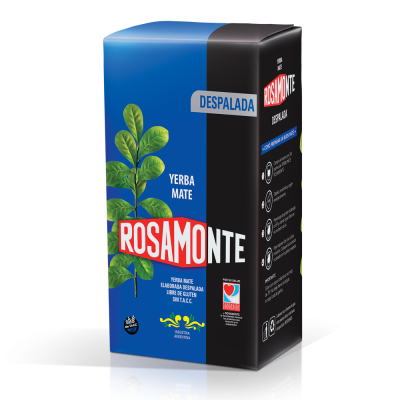 The ground and bagged yerba is seasoned naturally in specially prepared warehouses with light, oxygenation, temperature and airing control. The seasoning time is from 12 to 24 months depending on the end product to be obtained. 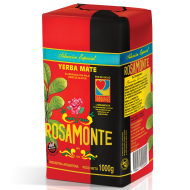 It is in this instance where the yerba mate acquires the different flavor, aroma and color characteristics that identify us. Image 1 - Seasoning process. Image 2 - Seasoning process. Grinding consists of successive trituration, buffeting and mixing operations. It is transported by conveyor belt to the cleaning buffet for the elimination of thick twigs and excess branches. After it goes through a classifying process in which leaves and twigs are separated. These leaves are ground in a mill to b buffeted again and obtain different products depending of the trituration degree. The twig, is sent to a twig cutter that cuts them uniformly. Each part, (leaf, twig and powder is stored in separate silos to be mixed by a process of technological exactitude, with belts commanded by an LCP (Logic Control Programmer) In different proportions and according to the granulomere of the mix to achieve the characteristic flavor of each Rosamonte variety. Image 1 - Grinding silos. Image 2 - Grinding silos. Image 3 - Grinding silos. 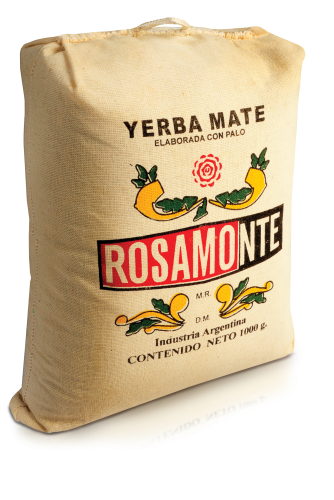 Once the milling, selection and balance processes that our yerba mate requires are finished we proceed with packaging. This is done by advanced technology equipment that load the packages, dose the products, seal, label and stamp each one for its control. 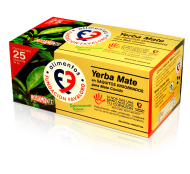 The packages present various layers of different material designed to preserve the organoleptic characteristics of each one of our yerba mate varieties. Having passed the last quality controls, it is stocked on pallets in the delivery warehouses to enter the marketing chain. 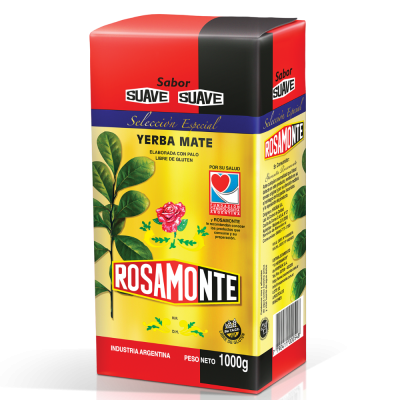 The excellence of flavor, color and aroma of our yerba mate makes us distinguishable in the domestic market as well as internationally. And positions us as leaders in high quality yerba mate sales. Image 1 - Packaging process. Image 2 - Packaging process. Image 3 - Packaging process. It is one of the vitamin rich plants. Stimulates muscle and lung activity and regulates heartbeat. It also produces a sensation of wellbeing, vigor and alertness. 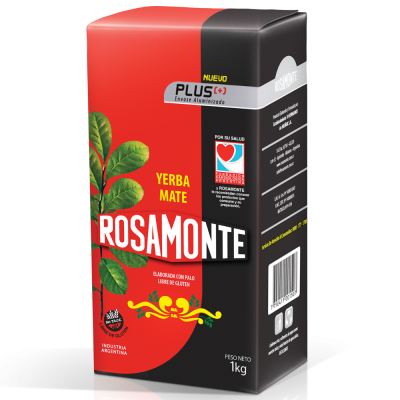 It has a liver protective function as well as diuretic, digestive and optimizes nutritional absorption of the body regulating all the assimilation functions in general. 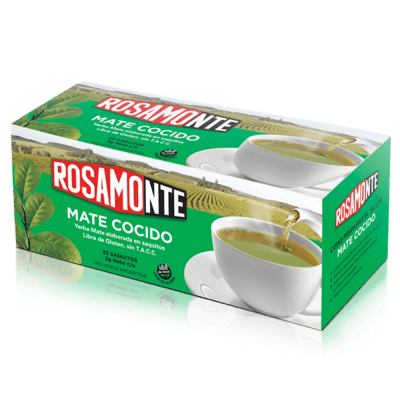 The infusion of yerba mate leaves presents energizing and toning properties due to the mateine content (catechin) that stimulate the central nervous system and promotes mental activity, with the positive peculiarity of not interfering with normal sleep patterns. And also is an antioxidant due to the presence of flavonoids. 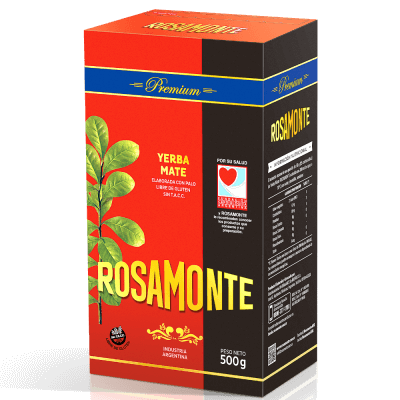 It renders a satiety sensation and is use to help with weight loss. Possesses considerable amounts of potassium, iron, phosphorus, sodium and magnesium. Also contains diverse anti oxidizing substances, vitamins A, B1, B2,C and K, and carotenes. Our products are guaranteed by the FUNDACIÓN CARDIOLÓGICA ARGENTINA. 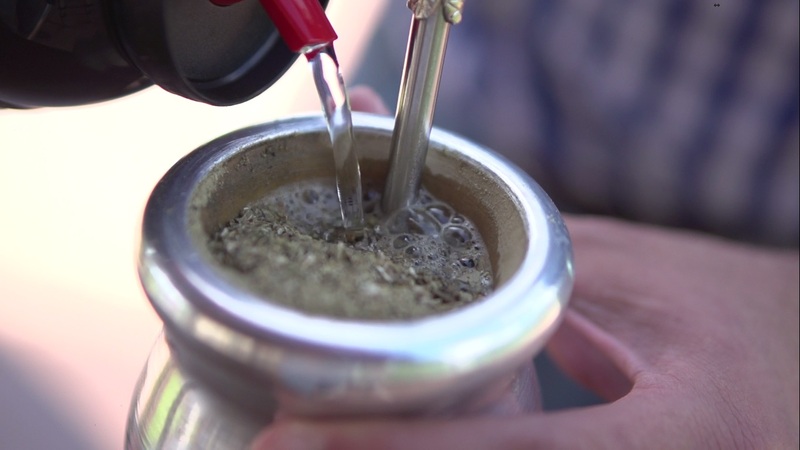 For this group of actions, we consider Yerba Mate a natural energy source.